During E3 2018, the leaders of Nintendo had an intense match in Mario Tennis Aces. 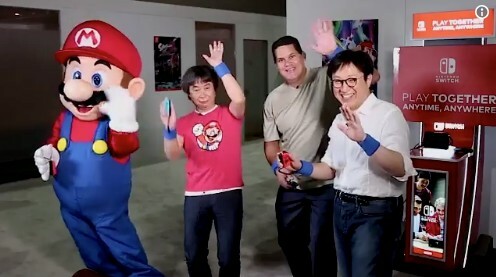 Nintendo of America President Reggie Fils-Aime teamed up with Nintendo Switch creator Shinya Takahashi, while legendary video game creator Shigeru Miyamoto and Mario joined hands together. Both teams had an intense fight.